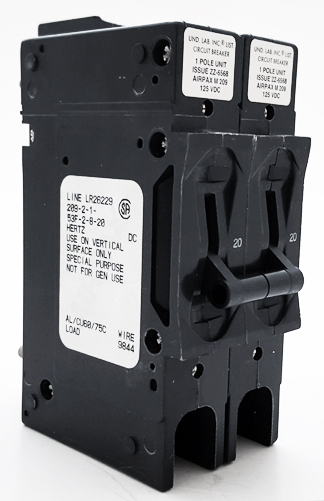 This is an E-Frame multi-pole circuit breaker. For use on vertical surfaces only. The 209-2-1-53F-2-8-20 is excellent for branch circuit applications like EDP, air conditioners, panel boards and lighting controls. Together it provides power switching with accurate, reliable circuit protection.